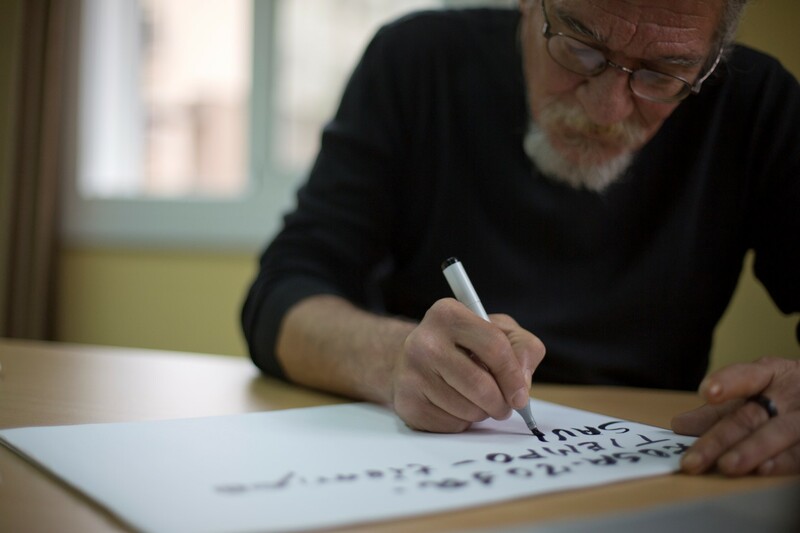 The Arrels Foundation has created an initiative that converts the handwriting of people who live on the streets of Barcelona into carefully crafted alphabets, to be used on packaging, stationery, and web projects. It began in 2009, during a holiday to Barcelona. Loraine Halgabary was attacked at knifepoint by a group of three assailants who stole her belongings, including her passport. Today she shows us the vast scars that remain on her right arm, at the headquarters of the place that gave her her life back, the Arrels Foundation. As a result of this episode, the Londoner was immersed in a true bureaucratic nightmare: her passport had been used for illegal purposes, and she was left with no choice but to live on the streets for years. First in a warehouse, later in a park. Until she decided to visit the Foundation, which since 1987 has been caring for homeless people, providing them with accommodation, food, and social and health care. Like Loraine, it is estimated that in the city of Barcelona alone there are 3,395 people who do not have a home, 1,026 of whom are sleeping in the streets. This is 61.8% more than just 10 years ago, according to figures from the Homeless Care Network. 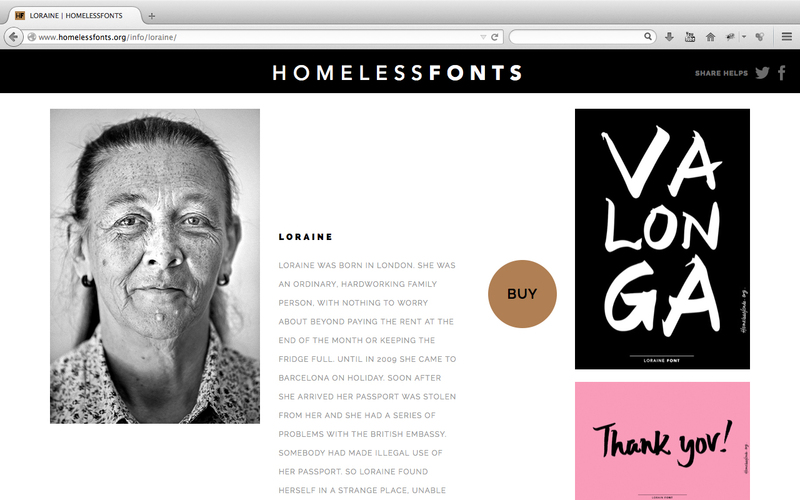 To bring a new kind of dignity to these people, the Arrels Foundation, in collaboration with The Cyranos MacCann advertising agency, has created a unique project named Homelessfonts. They have created fonts based on the handwriting of people who live on the streets of the Catalan capital, which can then be purchased by either individuals or companies for use in their projects. The very same letters with which the homeless write messages on pieces of cardboard asking for help have now become a powerful tool: transforming, in the foundation’s view, society’s perspective on this issue. Ana Maria, Guillermo, Stere, José Luis, Gemma, Miquel and Loraine herself are just some of the 12 people featured in this touching story. 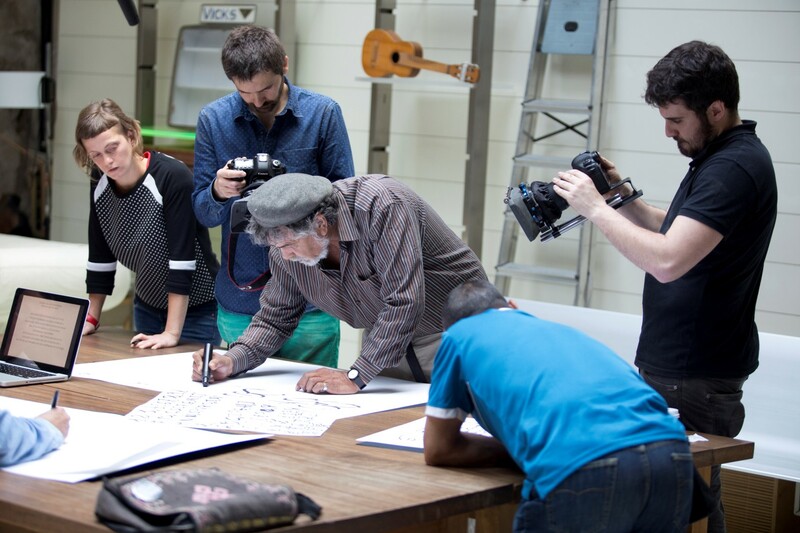 To create the typefaces, these homeless people participated in a number of workshops with collaborating typographers. They wrote letters, numbers and symbols on a template, which the typographers then transformed into an alphabet and digitized to turn them into typefaces, always maintaining the personality of their authors. The result is a stunning typeface collection that is available on the project’s website, where you can learn more about the stories of each of the people behind their alphabet through individual videos. For €19, you can buy a license for personal use to use the fonts in documents, reports, designs and marketing with limited copies. The cost of the license for professionals for corporate and marketing use, such as advertisements, stationery, packaging, corporate materials or websites is €290. All profits go towards helping the 1,400 people the Arrels Foundation cares for. There are a number of brands who have decided to give this added social value to their products, from non-profit organisation Espigoladors, who combat food waste by making jams from surplus, ugly or imperfect fruit and vegetables, to clothes store La Sostenible or Australian brand strategy agency MamaTray. Loraine still cannot believe that her writing is one of the most popular fonts. She did not realise the significance of the project until she happened across a store selling products by Valonga, which had used her handwriting on wines, oils, jams, honey and even soaps. Loraine was lost for words. But now, as time has passed, she tells us how wonderful it has been to take part in Homelessfonts: giving back to the Arrels Foundation, with whom she now works, after everything they’ve done for her.